SCIC Environment specializes in the treatment of NOx emissions. NOx (nitrogen oxides) result from the combination in the high-temperature air of nitrogen and oxygen. They essentially consist of two types of pollutant molecules: nitrogen monoxide (NO) and nitrogen dioxide (NO2). NOx gases are pollutants and hazardous to human health. NOx are irritating gases. They are known to aggravate asthma, according to studies by the World Health Organisation. Furthermore, NOx promote the formation of ozone in the lower layers of the atmosphere and contribute to the formation of acid deposition and eutrophication of soils. They also play a role in increasing the greenhouse effect. What are the main sources of NOx emissions? NOx came mainly from the burning of fossil fuels (oil, coal and natural gas) and some industrial processes. - The sector of industry and energy production (thermal power plants, incineration plants ...). NOx emissions are subject to regulation. Since 2005, the legislation on diesel vehicles in France and the rest of Europe requires a drastic reduction in NOx emissions. Car manufacturers, first and foremost trucks manufacturers , have had to review the exhaust systems of their vehicles. More and more diesel cars, tractors and construction machines are also equipped with SCR systems. Industrial facilities implying methods using combustion, are also subject to regulation; the law submitted a settlement of air pollutants limits that differs between declarated facilities and authorized facilities. Where to supply NOx treatment product in the West Indies and Guyana? SCIC Environment is your local BlueMax® producer for the DeNOx your truck truck, your construction equipment, your bus, tractor or car. Since 2006, SCIC Environment has a urea solution production unit in order to meet the local demand of the industry for the processing of Nox emissions. Our urea solution is marketed under our own brand: BlueMax® in 5L cans, barrels of 220L, 1000L ibc-container or in bulk (filling of your distributors equipped with specific pumps). To know our points of sale, or to become our distribution partner, please contact our sales adviser. For more information, contact our technical adviser. NOx reduction according to Euro 5 and Euro 6 norms. Since 2006 SCIC has a urea solution production unit in order to meet the local demand of the industry for the treatment of harmful emissions of nitrogen oxides (NOx). 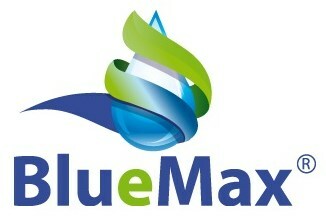 BlueMax® is a Solution of High Purity Urea, safe, non-explosive, non-flammable and non-toxic for the environment. SCIC Environment specialize in controlling the formation of H2S in the urban drainage network. SCIC Environment is implementing since 2009 a preventive solution to fight against the toxic and corrosive H2S gas (hydrogen sulfide) that form in the wastewater pipes. H2S, a highly toxic olfactory gas The hydrogen sulfide is a chemical compound of H2S formula consisting of sulfur and hydrogen. This is a flammable, colorless gas, that smells like rotten eggs, and considered since 2010 as highly toxic by the European Union. Indeed, it is fatal when concentrations reach more than 1000ppm. However, from a concentration of 100 ppm for more than 2 minutes, hydrogen sulfide anesthesize the olfactory nerve, which makes it undetectable by the odor alone and becomes a real risk. The H2S release occurs in the presence of organic or inorganic materials or residues (sulphides production) in sewerage systems, treatment plants for cities, sewers or industrial sites water treatment. Besides being smelly and toxic to operators on sites, the H2S is a corrosive gas and thus, have catastrophic consequences on electrical equipment and the concrete structures of wastewater networks. Why must we fight against the formation of H2S? - Reduce the complaints of residents about odors from treatment plants and discharge stations. How to treat formed H2S? There are several mechanical and chemical systems for treating the formed H2S, but SCIC Environment provides a preventive solution, based on the injection of a non-toxic reagent in the upstream portions concerned networks and that does not create residue in the network: Nitramax. - Has no chemical reaction or adverse effect on the bacteria in the effluent. Nitrate makes the effluent anoxic and thus promotes the development of aerobic bacteria and in particular denitrifying bacteria that will reduce nitrate to gaseous N2. The strong development of denitrifying bacteria generated by the calcium nitrate will inhibit the growth of sulfate-reducing bacteria (SRB) that causes the formation of sulphides and H2S. So there is proliferation of populations of aerobic bacteria and inhibiting (without missing) strict anaerobic bacteria. - A guarantee of an average daily performance of H2S <5 ppm. Nitramax®, a solution developed locally to suit the needs of the sanitation sector in Martinique facing the problem of H2S. NitraMax® is an effective fight against olfactory pollution, corrosion, and H2S emissions related hazards. In Martinique several sites have been equipped with this device. It consists of a controlled intake of Nitrate salts in the waste water to inhibit the formation of dissolved sulphides and H2S. Nitramax® is a preventive treatment process against the H2S that uses non-hazardous products without environmental impact. Its use is therefore of comfort during handling for operating staff and no risk of equipment and structures degradation. 1) A diagnostic study of the network, conducted with our partner Athéo Solutions, specialized engineering office. 2) A dosing strategy tailored to meet the objectives of H2S reduction, based on data from the diagnostic study. 3) A test phase after measurements without treatment to adjust the amount of solution to be injected to achieve the objectives. 4) A dosing controller programmed from a dynamic model (bacterial activity, temperature, flow of effluents; rainy weather etc ...) that ensures an optimized and efficient injection adapting to variations. 5) The system efficiency control during the commissioning of treatment (usually on delivery of the station).